The biggest complaint regarding the switch to EMV card transactions is the wait time for consumers. My 14-year-old stepdaughter says the same thing every time I talk about my job. On average, it really only takes about 15 seconds — “it feels like 5 minutes!” — to complete a EMV or chip card transaction in person at a retailer. But for those of us accustomed to swiping our cards and jamming them right back into our wallets, those extra 15 seconds can seem like an eternity. With more merchants becoming EMV compliant every day and thousands clerks just starting to understand their new equipment, that 15-second average can turn into 20 or 30, just like that. The paper talked about the issue and offered analysis in three main categories: Faster EMV Solutions, Near Field Communication Transactions and EMV Checkout Optimization Practices. The first discussed recent announcements by American Express, Discover, MasterCard and Visa — Amex Quick Chip, Discover Quick Chip, M/Chip Fast, and Visa Quick Chip respectively — that keep the security features of EMV but speed up the transaction time. The paper also promoted the adoption of contactless transactions, saying they can enhance the cardholder experience. (It is also the solution that I suggest to the frustrated teen in my household.) 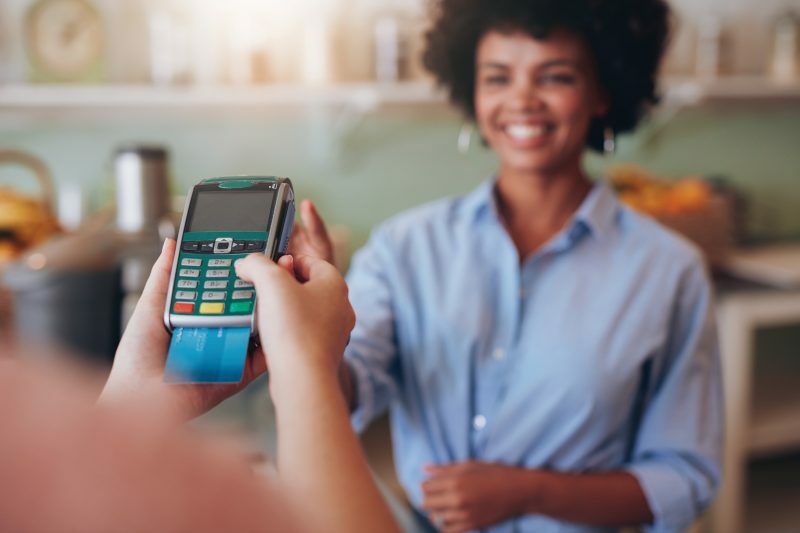 Easily the fastest processing speed of all three, the Near Field Communication process is a clear choice for the impatient consumer, but not currently as available as EMV chip card readers. Services like Apple Pay and Samsung Pay are options. “The interaction between the EMV contactless-enabled payment device and contactless reader is targeted to take place in less than half a second,” the paper said. The paper went on to offer different techniques and tactics that can help speed up the process — or at least make consumers feel like the transaction is happening more quickly. Slow transaction times can be equated to human error, lack of merchant training, inefficient equipment or faulty software installation. With the holiday season upon us, it might be a good idea for merchants to bone up and find new ways to be efficient.For more information, read the entire white paper here or visit www.emv-connection.com. If your business isn’t compliant yet, contact us at National Merchants Association. Are Mobile Wallets Safer than Traditional Payment Cards?